• Use Key Word Research Tools. • Selecting of Key Words. For more information on choosing the right key words for your website call Direct Submit on 0845 2722350 or visit the Direct Submit SEO Services website and see how we can help you make the most of your Internet project. Why it’s important to have a cyber security policy? As breaches become the new norm, having a cyber security policy becomes not just a matter of saving face, but of saving money, data, and valuable employee resources. Each year, thousands of breaches take place around the world, resulting in the theft of over 1 billion records of personal identifiable information. According to the Ponemon Institute’s 2015 Cost of Data Breach Study, the average total cost of a data breach increased 23 percent over the past two years to $3.79 million. Cyber security policies can range in size from a single one-sheet overview for user awareness to a 50-page document that covers everything from keeping a clean desk to network security. The SANS Institute offers templates for creating such policies, if you’re looking at developing a more robust plan. Ideally, a company’s cyber security policy should be documented, reviewed, and maintained on a regular basis. Realistically, many small and medium-sized businesses don’t have the manpower. 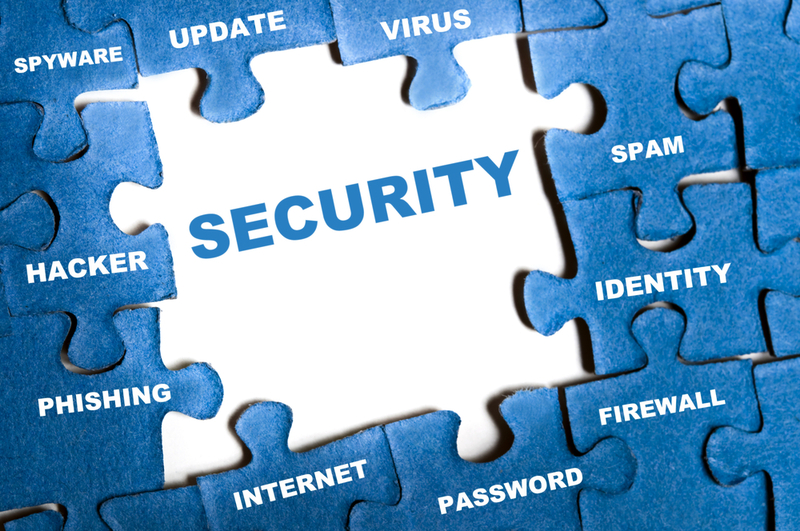 Even creating a short guide that covers the most important areas goes a long way in keeping your business protected. Taking a look at the cyber security regulations put forth by the federal government or by your industry is a helpful roadmap for developing a cyber security plan. First and foremost, you need to make sure you’re operating within the law. For example, if you’re a business entity that deals with protected health information, you must have certain administrative, physical, and technical safeguards in place. The HIPAA Security Rule requires organizations, their business associates, and even their subcontractors to maintain and implement written policies and procedures for protecting data and technology. A well thought out cyber security policy outlines which systems should be in place to guard critical data against attacks. These systems, or the infrastructure, tell IT and other administrative staff how they will protect the company’s data (which controls will be used) and who will be responsible for protecting it. The most critical step in establishing a successful cyber security policy is documenting and distributing the acceptable use conditions for employees. Why? No matter how strong defenses are, users can introduce threats to your company’s networks by falling for phishing scams, posting secure information on social media, or giving away credentials. According to the 2014 IBM Cyber Security Intelligence Index, over 95% of all threat incidents investigated involved human error. In addition, the employee policy should also cover what happens when users fail to comply with guidelines. For example, an employee found to be responsible for a breach might be required to repeat training if it was due to negligence, or terminated if the breach was an inside job. Establishing and documenting a cyber security policy is just the first step in keeping your business secure. Once the policy has been created, you’ll need to come up with a strategy for deploying it, maintaining it, training users, and making them accountable. Look out for future articles in this series to help. Complete article available to view at Malwarebytes. Sculptor Antony Gormley has sent a legal letter to Vote Leave after the Gateshead landmark is used as a political advertising board for the group. Tyneside’s most famous work of art has been hijacked in a political stunt, sparking outrage from its creator. Artist Antony Gormley has fired off warning letter through his solicitors after the Vote Leave group projected its message and logo across the 54-metre wingspan of the Angel of the North. While the group hoped the move would boost their anti-EU message in the run up to June 23’s in-out referendum, it has also landed them in legal trouble from Angel sculptor Mr Gormley. When contacted, the artist was on his way to Beijing, with a spokesperson saying he would not be commenting on the issue but is “discussing next steps with his legal team”. However, we have seen a copy of a legal letter sent by Mr Gormley’s solicitors to the CEO of the Vote Leave group. The letters states: “As an artist with a substantial reputation in the United Kingdom and worldwide, it amounts to passing off to suggest a false endorsement by, or by connection with, Sir Antony in connection with the activities and political purposes of Vote Leave Limited. This is not the first time misuse of the landmark has angered the sculptor. In 2014, the artist criticised a stunt by Morrisons where the supermarket giant projected a giant baguette onto the Angel, branding it as “shocking and stupid”. The supermarket had hoped to kick start a new price cutting move by projecting the baguette onto the Angel’s wings as part of an advertising campaign. The moved caused widespread outrage, prompting Morrisons to apologise. The publicity campaign was strongly criticised by Mr Gormley, who has always wanted the artwork to stand without any interference, isolated and unlit. Mr Gormley had a clause added to the original agreement when work on the Angel began in 1994, refusing permission to light the Angel. 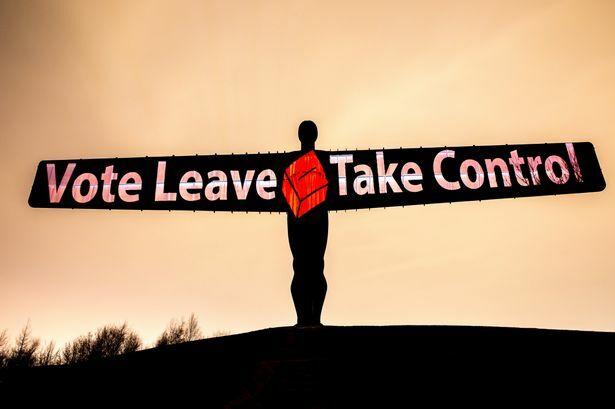 The solicitors’ letter states that Vote Leave should have known that “their use of the Angel of the North as an advertising medium is both unlawful and damaging to the integrity of this important work”. Sculptures are protected by the law of copyright. If it is the year of your high school prom or you are looking for a prom gown for a formal event it’s definitely worth paying a visit to Just The Way You Are, although they are predominantly a supplier of wedding dresses you are guaranteed to be impressed with their extensive range of prom dresses and other accessories. Based in Newcastle this boutique gives you the opportunity to book an appointment at a time that is convenient to you and take advantage of an individual consultation so you can be certain you find something that you are totally happy with. With a wide variety of designs in stock ranging from traditional full skirted gowns to sophisticated figure hugging formal dresses you can be certain that no matter what kind of image you are hoping to achieve at Just The Way You Are there will be a prom dress available that you are sure to love. Throughout the duration of your visit one of the friendly team will be happy to initially fully discuss all your ideas with you and then find you a selection of prom dresses to try on, then based on your feedback find you more choices to try until you have found the prom gown that is perfect for you. At Just The Way You Are they aim to make sure that every woman or girl has a chance to look and feel amazing on their special day, and with that in mind they stock a wide range of sizes and different cuts of prom dress so you can be sure to find something that you look totally fabulous in regardless of your size or shape. No matter what member of staff assists you during your visit you can be sure that they will help you find designs that flatter your figure and fit you like a glove and give you honest and helpful advice so you can be completely happy and comfortable in whatever prom dress you decide on in the end. All prom gowns are supplied by carefully selected designers who only provide products that are produced to the best possible standards so you can be sure that no matter what gown you decide on in the end it will be top quality and well made. With a wide range of accessories available to help you really complete your look at Just The Way You Are they have everything you need to make sure that you get noticed for all the right reasons. So if you live in the North East and are hoping to find the perfect prom dress why not book an appointment with Just the Way You Are? With excellent customer service every time, a stylish and relaxing store and the opportunity to have a personal consultation, along with a really impressive range of beautiful prom gowns you definitely won’t be disappointed, take a look at their excellent customer reviews and you will see why so many people would recommend them to someone they know. Many people have asked how to write SEO-friendly content. It’s no wonder—the industry still in 2016 talks about how “content is king,” and Google has emphasised the importance of good content with many of its recent algorithm changes. The savvy website owners understand that they need to have great content, but search engines aren’t always clear about what factors make your content great and thus make your website rank higher. Here are a few top tips to help all of us write great SEO / Client relevant content. Your content shouldn’t match the content of any other website online. We call this “duplicate content,” and if your website contains duplicate content, your website is less likely to rank because Google doesn’t want to reward website owners who may have plagiarized. With duplicate content, you’re also telling Google and your users that you are no better than other companies. And if you can’t prove you offer a superior product or service, what’s stopping your customers from going to the competition and Google from ranking other websites higher? Figure out what differentiates you from the competition and explain those benefits in your content. In the past, most SEOs optimised content by stuffing in keywords in hopes that the page would rank for those specific searches. Google and other search engines now consider more than keywords, but you still want to use those terms to explain what your page—and your business—is about. For example, if you are a heating/AC contractor, include phrases like “heating” and “air conditioning” somewhere on the page. If you are a dentist wanting to sell more teeth whitening services, make sure you have terms like “teeth whitening” on your page. You may think this tip goes without saying, but you would be surprised at how many pages miss the mark by not including keywords. Website owners often forget that “content” includes any material that provides value to the client, and that includes images. When you go to a restaurant, which type of menu do you prefer: one with only text or one with pictures of the entrées so you can see which dish looks more appetizing? You’d want the menu with the pictures, right? Similarly, high-quality images on your website elevate your content, make your company look more appealing, and increase page conversions. “High-quality” means you have chosen an image that looks clear and loads quickly. Your images should also match your content, such as a picture of a dog for a veterinarian or a picture of dental equipment or smiling families for a dentist. Expertise. Identify yourself as an expert in your field. You may want to list your credentials or certifications on your website, or write blog posts that put your knowledge on display. Authority. Show what makes your business an authority on any subject. For example, if you are a local business, discuss the city you service and explain how your service solves the needs of residents in this area. Trust. Include reviews to show your trustworthiness. You can and should explain why someone should choose your business yourself, but users appreciate the second opinion for positive customer reviews. By including the right information, you build trust and authority with search engines, so they want to present your business as an answer to their users’ questions. I wish I could give you a magic number of words to include on each page you write. Unfortunately, there isn’t one. The appropriate length on content varies between each industry and each individual company. Instead of worrying about the perfect amount of content for search engines, worry about the perfect amount of content for your customers. To achieve that goal, you only have to answer one question: Have you provided complete value to the user who found your web page? Each page fulfills a purpose, and a satisfying amount of content fulfills that purpose completely. Your potential customer should have no other questions once he or she finds your page.For example, on a “Contact Us” page, the user wants to find your address, phone number, or some method of reaching out to your company. You don’t need as much content to fulfill that request. However, with a product description, your users will want to know the benefit of your product, the product speculations, the cost, various sizes/colours you offer, etc. You will need a longer page to explain all of these points. Writing SEO-friendly content isn’t as difficult as you may think. You don’t have to follow a magic formula with the perfect word count and right amount of key terms. You have to include engaging, relevant information that shows why customers should buy from your company. Whatever that means to your business is up to you. Call Direct Submit to day on 0845 2722350 or visit our SEO & Internet Marketing services website. A type of malware that locks computer files and demands a fee for their release has successfully targeted Apple computers. The security researchers from Palo Alto Networks believe it is the first time ransomware has appeared on Macs. The KeRangers malware was hidden in a version of a BitTorrent client called Transmission. The makers of Transmission and Apple say they have taken steps to stop the malware spreading. It is not clear how many people were affected. Transmission is a program that lets people download and share BitTorrent files – often music or movies – with other users’ computers. After being informed of the malware, Apple revoked the developers’ certificate on the infected software to prevent it from being installed if people downloaded it. Transmission’s developers released a new version of their software and added a notice on their website, urging customers to upgrade immediately. Apple’s Mac operating system – Mac OS X – has traditionally been considered to be a secure system because it is more locked down than the myriad of devices running Windows operating systems. While writing malware code for Macs is more difficult because there is less of it around, as the computers become more commonly used criminals are working harder to target them, Greg Day, Palo Alto Networks’ chief security officer for Europe, the Middle East and Africa told the BBC. The number of workers on a zero-hours contract for their main job stood at 801,000 in late 2015, up by 104,000 from a year earlier, the Office for National Statistics (ONS) has said. That meant 2.5% of the employed UK workforce was on such a contract. In its report, the ONS said there were about 1.7 million contracts that did not guarantee a minimum number of hours in November, meaning that many workers had more than one zero-hours contract. The previous estimate, for May 2015, was 2.1 million, but the ONS said that the estimates could be affected by seasonal factors and should not be directly compared. Those on zero-hours contracts were more likely to be young people, part-time workers, women, or those in full-time education when compared with other people in employment. Someone on a zero-hours contract worked an average of 26 hours a week. About a third of those on a zero-hours contract wanted to work longer, with most wanting more hours in their current job, as opposed to a different job that offered more hours. In comparison, only 10% of other people in other types of employment wanted more hours, the ONS said. TUC research found that average weekly earnings for zero-hours workers were £188, compared with £479 for permanent employees. Laura Gardiner, of the Resolution Foundation, said some workers on zero-hours contracts struggled to cope with fluctuating pay levels, which made it hard to budget. “While zero-hours contracts still make up a comparatively small, albeit growing, part of the labour market, it is still crucial that policy makers consider the effect of unstable employment on both workers and the economy,” she said. Owen Smith, shadow work and pensions secretary, said the Conservatives had failed to take action on zero-hours contracts as promised before the last general election. Summer weather will hopefully soon be on its way to the UK, and that means it’s time for smart homeowners and flat dwellers to make sure they are doing everything they can to keep their homes as cool as possible this summer. According to the Energy Saving Trust, most people can expect to save anywhere from £10 to £50 per year on their utility bills simply by draught-proofing around windows and exterior doors. Those with a bigger budget might consider having double-glazed windows installed, but for many, this is simply too much of an undertaking both financially and logistically. Yet another way to keep your home cool in the summer is simply by ordering made-to-measure blinds for the windows and exterior doors which provide superior coverage and insulation compared to most models available in home improvement stores. When it comes to keeping the home cooler in the summer, the benefits of made-to-measure blinds are twofold: darker colours will block out more sunlight, and made-to-measure blinds will cover the windows and doors more completely, allowing fewer rays of sunlight to enter through cracks or around the edges of blinds. Types of blinds that one might consider for this purpose include pleated blinds and blinds which are custom built to fit the window with their own frame. Many excellent models are available which do not require drilling into your existing windows or otherwise voiding the warranty, so if you do already have plans to install replacement windows, then custom blinds would be ideal! 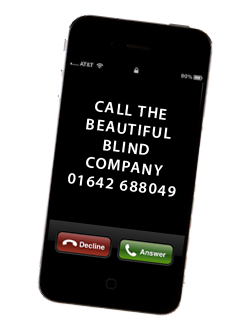 The Beautiful Blind Company has been installing made-to-measure blinds in homes and offices in the Northeast for many years. Our Redcar-based installers provide an excellent service and will install our Perfect Fit blinds, or any other blinds you might select from our range of products, to meet your exact requirements. One of the most frustrating things a plus-size bride-to-be regularly faces when planning her wedding is the suggestion that she should be, well, thinner. The sample size dress in a typical bridal shop is more likely to be an 8 or 10 than a 14 or 16, which complicates the selection and fitting process. It’s common for brides-to-be of any size to bemoan their prenuptial weight and to go on a crash diet and exercise binge in order to lose as much weight as possible so that they can be slim and svelte in their wedding gown – and to have some room for error when the eating and drinking on their honeymoon begins. Before you invest an exorbitant amount of money in a personal trainer, remember that he asked you to marry him with you looking just the way you do now. Instead of trying too hard to be someone you’re not on your wedding day, resolve to find the wedding dress that will show everyone just how beautiful you are right now! Plus-size women the world over have horror stories about going into a bridal shop to look at wedding dresses and suffering the humiliation of a salesperson asking the bride if she plans to lose weight before the wedding. Make no mistake: salespeople who take the Panglossian view – that you should reshape yourself to fit the dress rather than vice-versa – has no place in the bridal wear industry. Think of your wedding dress purchase as you would the purchase of a new car: it’s a major investment, and you need and deserve a competent and agreeable salesperson who understands your needs and will guide you toward the dress that it is a perfect fit for you. Now that you’ve found the right shop and salesperson to guide you through the process of choosing a dress and having it fitted, make sure to make the most of the fitting experience so that your dress will look absolutely perfect on your wedding day. If you are planning to wear a strapless bra, any type of bra for extra support or a girdle on your wedding day, wear them to the fitting so that all the measurements for your dress will take them into account and so that the fit will be just right. Similar to making a car purchase, it is often helpful to bring a knowledgeable and trusted friend with you to the bridal shop. If you’re lucky enough to have a friend as honest as the ladies from What Not to Wear, bring her with you by all means. The only worse experience than having a negative, body-shaming salesperson is one who is so eager to make a sale that she will tell you whatever she thinks you want to hear about a dress that doesn’t necessarily suit you. Your friend knows you as well as the salesperson knows the selection of available wedding gowns, so let her feedback help you with the decision-making process. For plus-size brides-to-be in the UK, shopping for bridal wear has just gotten a whole lot easier. Just the Way You Are is located in Newcastle and specialises in plus-size wedding dresses and bridal wear. Let our friendly staff assist you in choosing from our range of dresses designed to flatter plus-size women and guide you through the fitting process so that you can look and feel more beautiful and confident on your wedding day than you have ever felt in your life. For more information or to arrange a visit and consultation about finding the perfect wedding dress for you, visit the Just the Way You Are bridal Store website today.